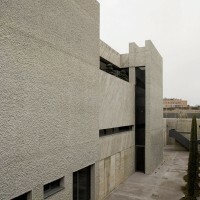 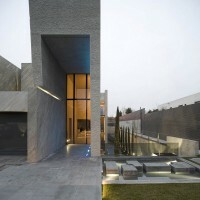 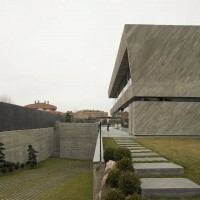 Spanish architects A-cero have completed the Open Box House house in Madrid, Spain. 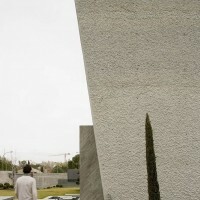 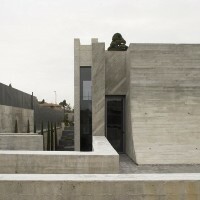 A-cero presents Open box house, a new project in the outskirts of Madrid. 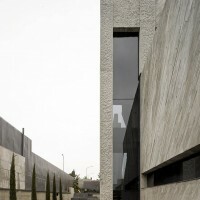 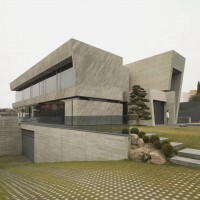 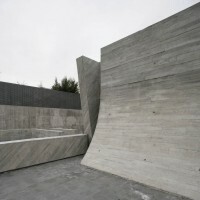 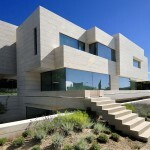 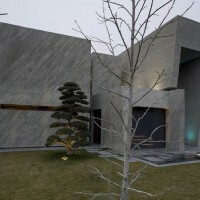 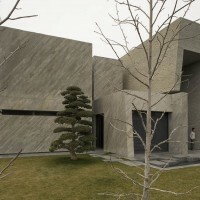 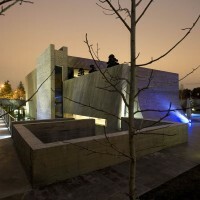 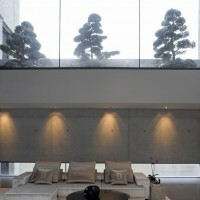 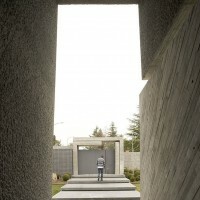 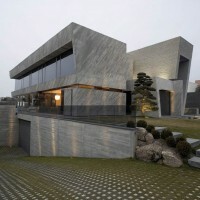 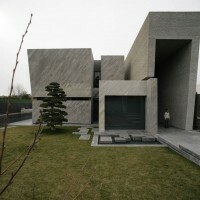 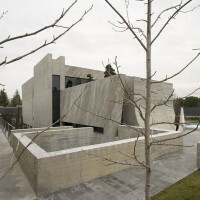 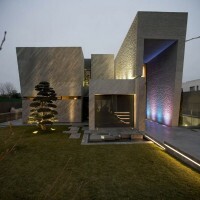 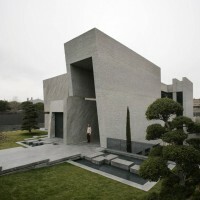 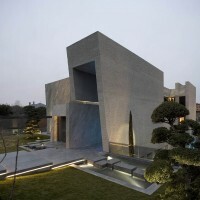 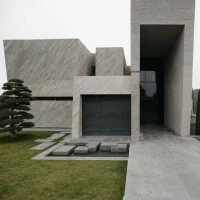 It is a 750m2 house designed according to the A-cero sculptural philosophy. 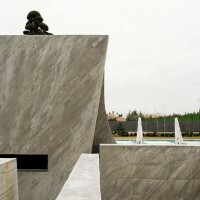 This is inspired in the “Oteiza” work, a very important Spanish sculptor. 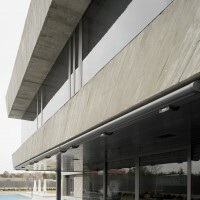 With a powerful look, Open box is notable for its façade in concrete granulated in some face and brandering in other faces. 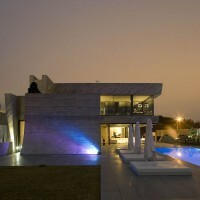 The house´s plot has is 2.600 m2. 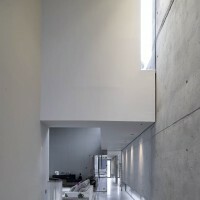 It has three storeys. 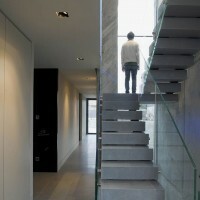 The basement takes the garage and facilities and the ground floor has the living room, kitchen and servant’s quarter. 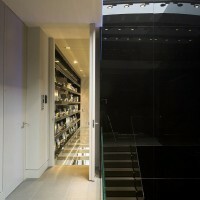 In the first floor are the private rooms (4 bedrooms) and a library. 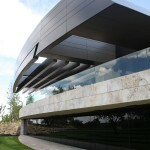 The interior design includes furniture designed by A-cero and the Italian company Fendi. 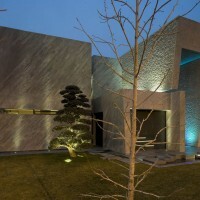 The landscaping has been designed by A-cero too. 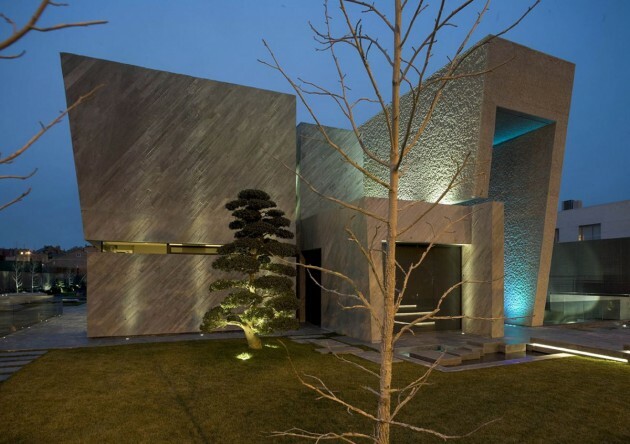 It is a Japanese garden As a conclusion, an A-cero work in which you can see its looking for the quality, comfort and design excellence.